You are on a run through the deadliest castle of them all. You must conquer and what lays inside this dungeon. 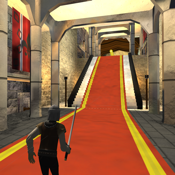 Jump, slide, sidestep and flat out run away in this all 3D endless fun running game. * purchase upgrade and characters through the coins you earn in game.